The Philippines has so many beach destinations to choose from and you can easily get overwhelmed when planning for a beach getaway with your family or barkada. Fret not, we've taken the initiative to list down the BEST of the best beach accommodations in the Philippines. Take your pick! Want to enjoy the very best in sand, sun and sea in Bohol? The Bellevue Resort Bohol offers you an exclusive beachfront accommodation with a stunning view of the ocean in Panglao Island. You are sure to enjoy a well-deserved vacation with their white sand beaches, huge swimming pool, cosy and spacious rooms, and warm service. 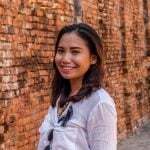 What's even better is that you can experience the entire island like a local and go on a gastronomical and cultural adventure through their range of website promotions. 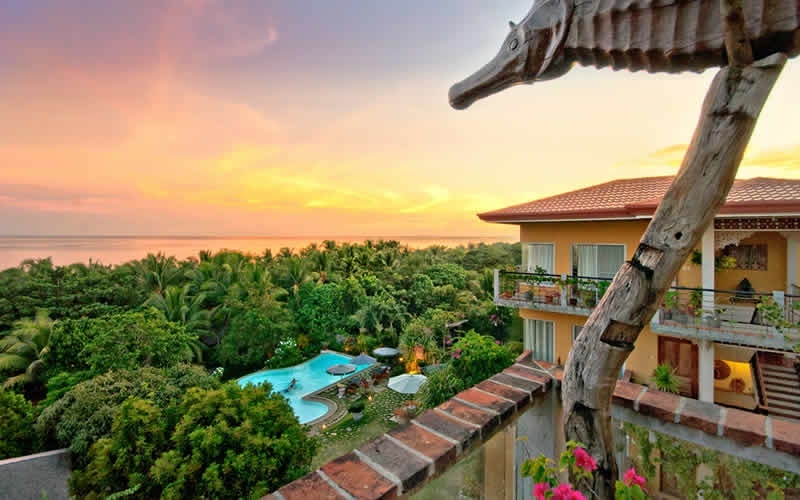 Read the full review of The Bellevue Resort Bohol on TripZilla STAYS. Plan your summer escapade as early as now with The Bellevue Resort's 3D/2N Swim, Sand, Tanned (Summer Special Package). For stays from 1 April to 30 June 2018, grab this cool deal and enjoy daily buffet breakfast, welcome drinks, special gift, airport shuttle, free use of kayak, tour rebates and so much more! Click HERE to book now! Experience the contemporary beach lifestyle at The District Boracay. 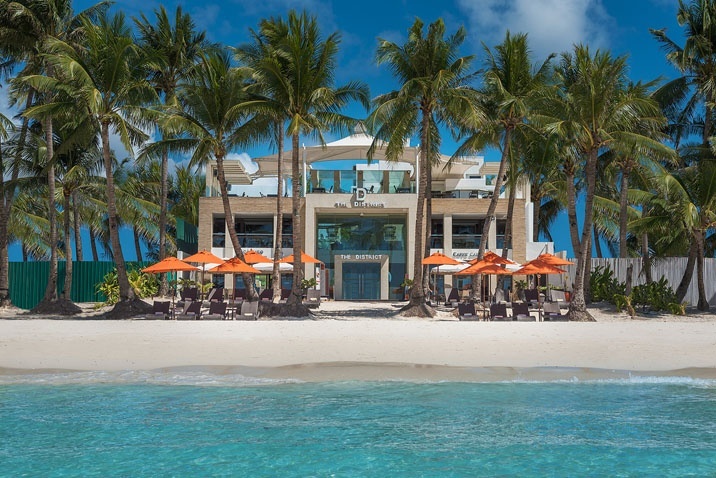 The white beach is literally just right outside the doorstep of this boutique resort. It also boasts of its gastronomic delights including the only brunch buffet in the island. It is right in the middle of the Boracay beach stretch which makes it very convenient especially for party goers. Read the full review of The District Boracay on TripZilla STAYS. The District Boracay is having a special Summer Sale 2018 that lets you have as much as 20% discount on rooms. For stays from 23 March to 31 May 2018, enjoy an overnight stay for 2 with choice of breakfast or brunch buffet at Star Lounge, Caticlan airport transfer, and massage sampler for 2 at Upperhouse Spa. Hurry, booking until 15 March 2018 only. Click HERE to book now! Enjoy first-class service in a paradise by the beach. This 5-star, award-winning resort boasts of its eco-friendly and luxurious rooms and facilities. With its impeccable service and a breathtaking view of the ocean, Ambassador in Paradise Boracay makes a great beach getaway. Don't believe me? Read the full review of Ambassador in Paradise Boracay on TripZilla STAYS. Experience tropical luxury in Boracay's Station 1 when you stay at Ambassador in Paradise. Take advantage of their exclusive 30% Room Discount now! Click HERE to book. Enjoy a panoramic view of Boracay’s pristine white sand and clear turquoise waters at Agos Boracay Rooms and Beds. Hint: Choose a Family Room with a view or laze the day away at the 4th-floor sundeck. While it’s not in a beachfront location, it’s only two minutes away from the main road and about six minutes away from either Bulabog or White Beach. And, it’s located in Station 2, where everything -- food, shopping and party -- is within walking distance. Psst, their rooms are perfect for longer stays too, should you wish to extend your getaway in Boracay. 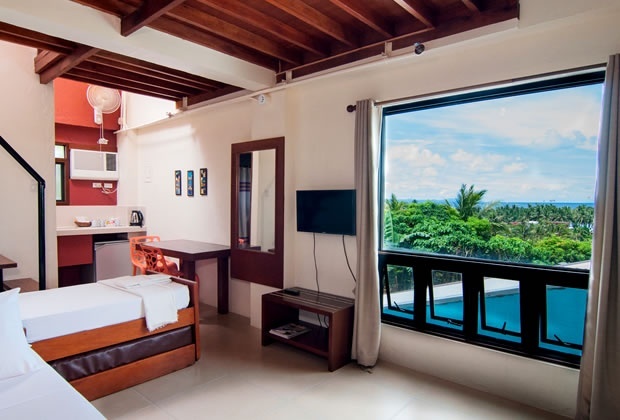 Read the full review of Agos Boracay Rooms and Beds on TripZilla STAYS. Your Boracay getaway need not be expensive! Grab Agos Boracay Rooms and Beds' Summer Sale and get as much as 50% OFF Deluxe Room rates for stays from 1 March to 15 June 2018. Hurry, booking period until 28 Feb 2018 only. Click HERE to book! Just by looking at the photo above, your itch for a getaway will certainly amplify. But more than its picturesque setting, Amarela Resort in Panglao, Bohol guarantees that each guest will get luxurious, royalty treatment without compromising the environment. It's proud of its green hotel practices including solid waste segregation and water recycling through rainwater collection, among others. 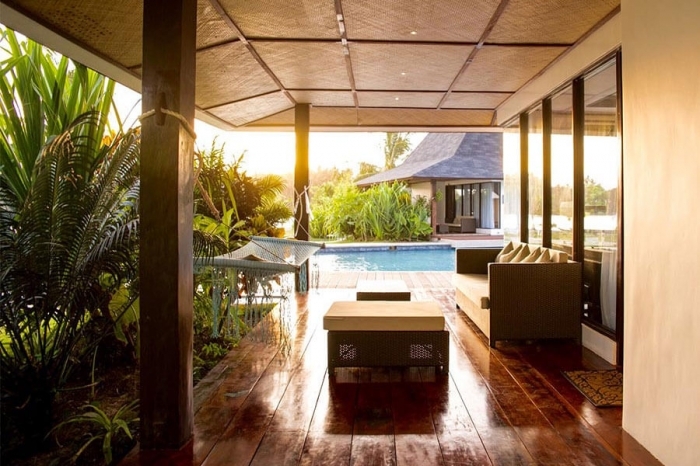 This is the resort you probably would be so proud to stay at! Book direct with Amarela Resort and get the best available rates inclusive of breakfast, round-trip land transfers, welcome drinks, use of snorkelling gear, kayaks, native bancas and more! Click HERE to book now! If you are looking for peace and quiet in one of the best beaches in the Philippines, Shangri-La’s Boracay Resort and Spa will give you exactly what you need. 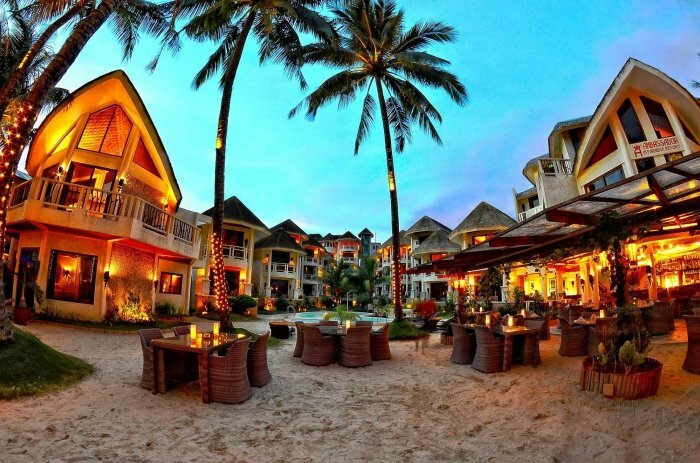 Located on Puka Shell Beach, this resort is perfect for your summer escapade. 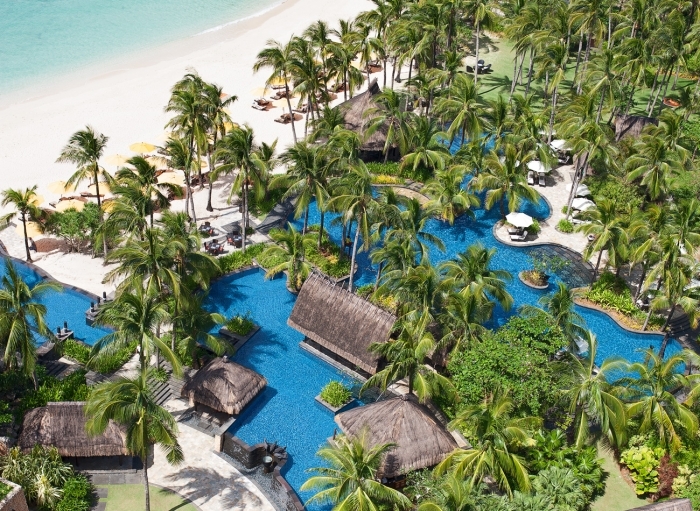 Shangri-La’s Boracay Resort and Spa takes pride in its 350-metre private beach and over 200 rooms, suites, and villas. Tranquillity in a dense forest, lagoon, island resort; this is what you will experience in Lagen Island in El Nido. 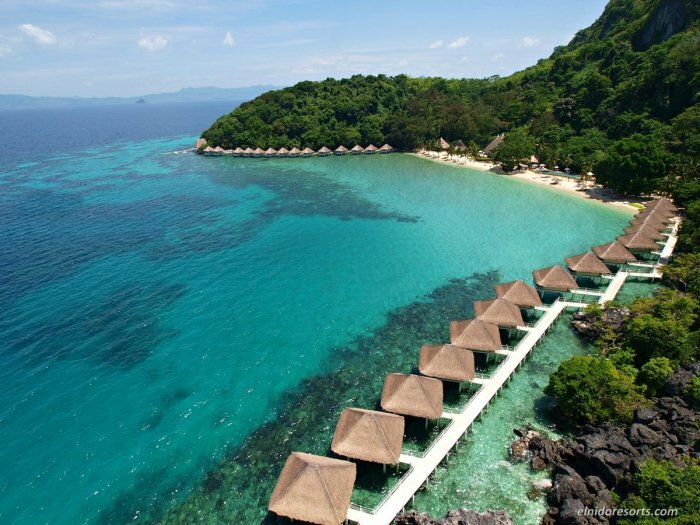 This property is one of the spectacular islands managed by El Nido Resorts. With over 50 thoughtfully curated rooms, Lagen Island is the place to be if you want a unique beachfront experience. Planning a summer trip with the family? The villas and suites in Matinloc Resort are spacious and offer stunning views of the beach, garden, and even the forest. Indulge in a fantastic culinary experience with many dining options, and the best part: the view! On top of all these, you can also enjoy diving, massage, hiking, and even fishing at the resort. Pearl Farm in Samal Island claims to be the only 5-star resort in Mindanao, and rightfully so. It is secluded enough to be a hidden getaway destination. You can choose from a variety of guestrooms from ocean view suites to traditional Mandaya villas. And their food! Oh my goodness, their buffets are amazing! 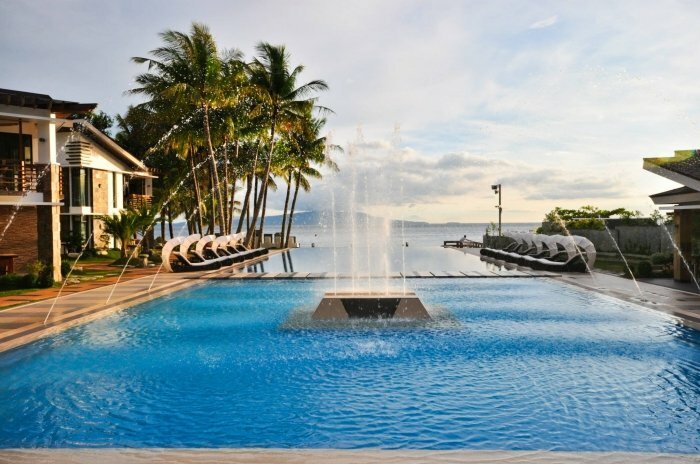 There are endless possibilities if you stay at Infinity Resort & Spa in Puerto Galera. From its outdoor Jacuzzi to infinity pool to the spa, your days are surely well-spent. Not only that, you can also catch the beautiful sunrise by the beach. 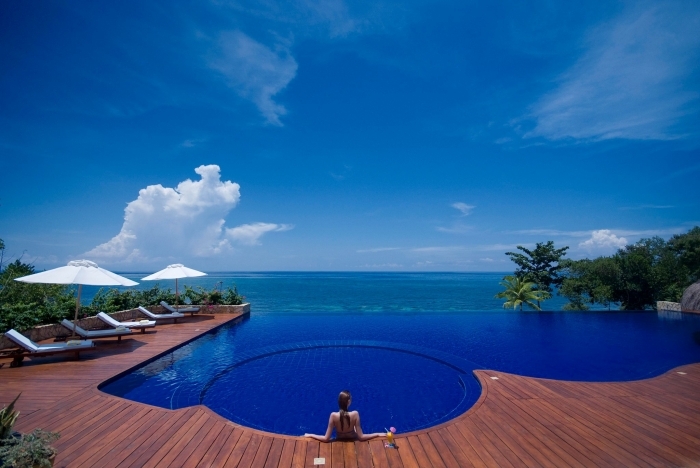 Want your own private pool with a view of the beautiful sea? Yaaaaas! Eskaya Beach Resort & Spa can give you the grandest staycation experience. It also boasts its own hilltop spa overlooking the ocean. Siargao Bleu Resort and Spa gives you complimentary butler service, kayaking lessons, body massage, FREE shuttle service to any point along General Luna, and a whole lot more! This place is amazing, they even have movie nights! Now, where else can you find this kind of service in Siargao? Drop your smartphones, ignore those emails, file your week-long vacation leave, and go on a beach getaway in the Philippines this summer! You’ll go home with your sun-kissed skin, tan lines, and ear-to-ear smile. Don't forget to drop by TripZilla STAYS to check out our recommended accommodations in the country.